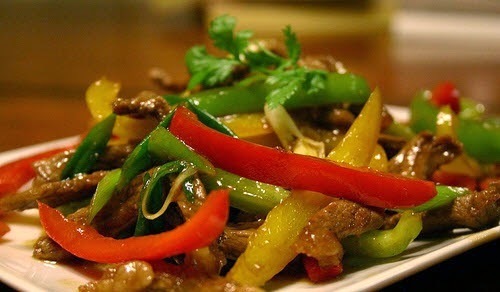 Capsicum, also known as Bell Pepper, is a good companion for beef in stir-fries and one of Traditional Vietnamese Food. So far, I have seen and tried three colors available – green, red and yellow, the latter being the sweetest. With capsicum, you can’t really leave out its other good friend, the onion. A stir-fry with these two ingredients give a good fusion of smell (you will either like it or donot) and taste (sweet in nature). When I eat beef, I usually like them just or slightly undercooked. Over cooking beef with generally make it tough and chewy unless you stew them for long hours, which is another thing altogether. 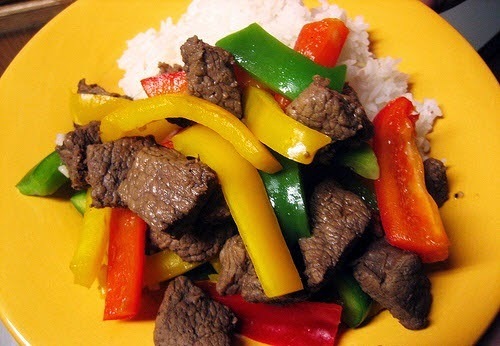 Hence, when I stir-fried this dish, I left the beef for last. Total stir-frying time is about 3 minutes as I prefer the capsicum to remain crunchy. Cook longer if you prefer softer capsicum. This Traditional Vietnamese Food is the best one for me. Most of all, experiment with this dish to your liking. Marinade beef for 2 hours or more. Heat the wok over medium-high to high heat for two or three minutes before adding the oil. Add onions and carrots. Stir fry till onions begin to turn translucent. Add capsicum and stir fry for 30 seconds. 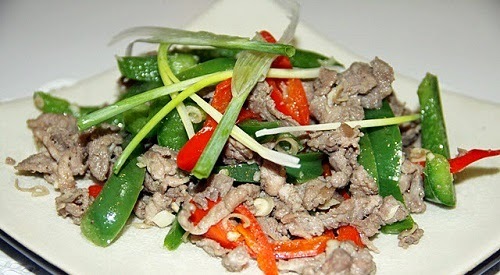 Add beef and continue stir frying till beef is about 50% cooked (half red half dark in color). Add seasoning to taste and sprinkle some water to keep moist. Pour in some corn starch to thicken gravy or omit it if it is dry to your liking. It is now the last step of cooking this Traditional Vietnamese Food. To sum up, dish out and serve hot with plain white rice. You may like this Traditional Vietnamese Food due to it is simple cooking and scrumptious. Eating with boiled rice and hot soup is the usual way for Vietnamese people. If you want to discover Vietnamese Cuisine, I think you should enjoy this way. Hope you love this one and try to make it after reading this article.